A few days ago, Coastal Hydropower LLC — a company that was interested in installing hydropower turbines in Winchester Dam on the North Umpqua, decided that it wanted to withdraw its FERC permit application. 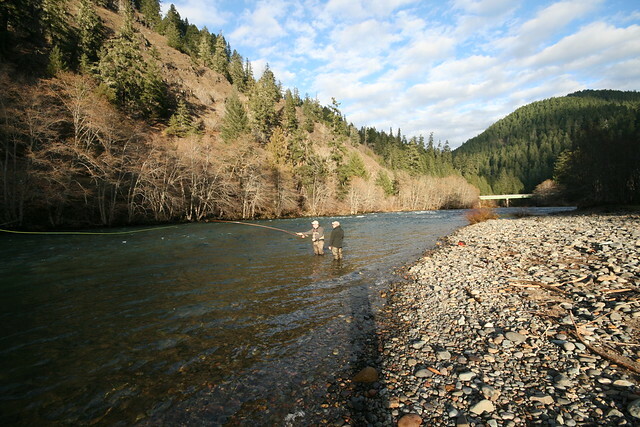 The company had encountered a fair amount of resistance to the proposal from our friends at Water Watch, Oregon Wild, Cascadia Wildlands and The Steamboaters, citing the proposed projects’ adverse effects on salmon and steelhead, especially ESA-listed coastal coho salmon. Be sure to give all of those folks props and cash. Seriously. The Western Environmental Law Center and the law office of Bill Kloos represented the organizations who intervened on our fish’s behalf.